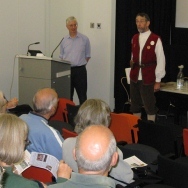 Members of the Winchester folk dance group Woodfidley reunited at a film show of their past glories, hosted by Wessex Film and Sound Archive (WFSA) on 26th September 2013. The annual IASA conference, held jointly this year with BAAC (Baltic Audiovisual Archival Council) was held in the beautiful city of Vilnius, between 6-10 October. The venue for the conference was the equally beautiful and impressive Vilnius University, founded in 1579. On 3rd September the new Library of Birmingham opened its doors to the public for the first time. 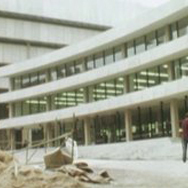 In recognition of this, MACE has compiled a series of short films from ATV Today which show the building of the third Birmingham Central Library from 1970-1973. Birmingham’s fantastic Flatpack, which brings films, animation, music and art to a variety of sometimes unlikely venues to the West Midlands, is collaborating with highly acclaimed producers Forma, to present four Midlands screenings of The Miners’ Hymns, ‘a bewitching, hypnotic and moving portrait of British miners. 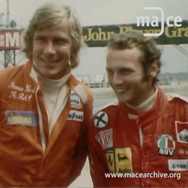 Those of you who have seen Ron Howard’s Niki Lauda and James Hunt biopic, Rush, will have seen the film contains archive images of the two racing heroes in the 1970s. 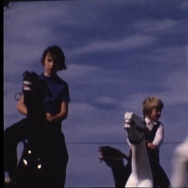 That genius of juxtaposition, Jeremy Deller, has applied his unique and oblique talents to the Industrial Revolution and its impact on British popular culture, curating a good deal of archive film into the mix.